Would you Like to become one of our Coaches? BMSA is always looking for volunteer individuals to take on the role of head coach/ assistant coach. Even if your softball experience is limited you can take an active role in the development of your child and their friends. Coaching tools and clinics are available, but the main ingredient is to promote fun and fair play…Anyone can do that. Please fill out the above application and either email it to us or drop it off at winter training or one of our live registrations. Once your application has been approved we will send you the brantford police check form for you to submit to the police. Please note that a police check is required to deal with the members of our organization. 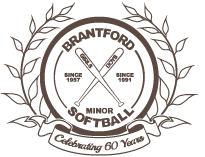 Please contact us brantfordminorsoftball@gmail.com for more information or to volunteer.